The town of Zharkent is the last outpost of any size on the road from Almaty to the Chinese border crossing, Khorgos. A sleepy backwater in the heart of farming country, Zharkent has one remarkable building – a wooden mosque built in the nineteenth century by a Chinese architect. 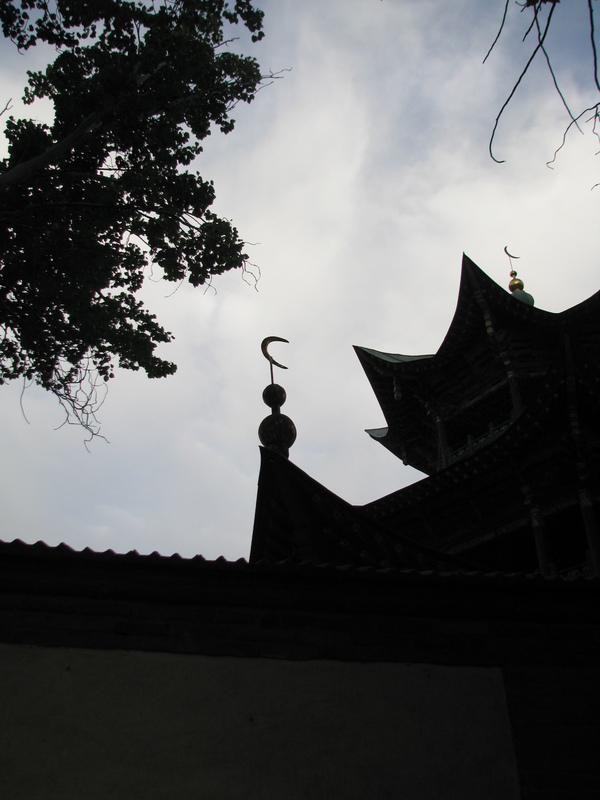 The mosque was constructed without the use of nails and has withstood earthquakes and the attentions of the Soviets. 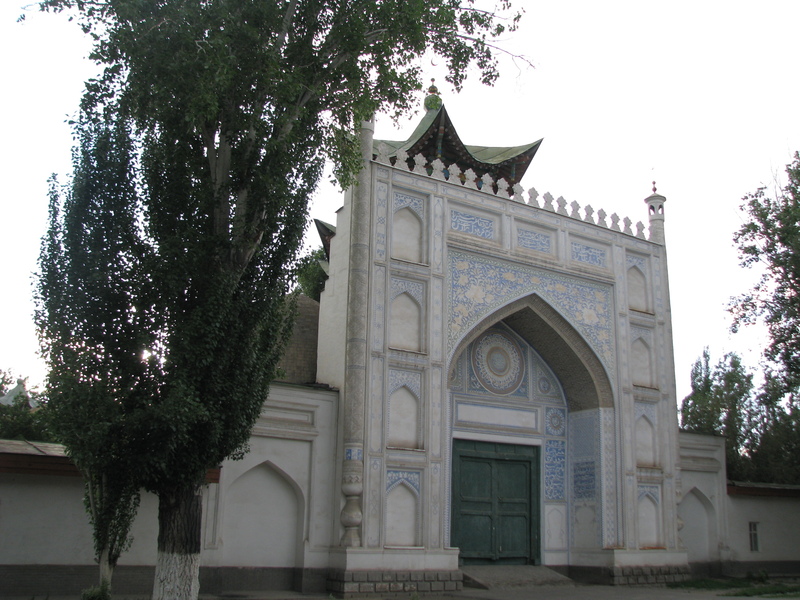 The mosque has a gateway reminiscent of the deliacte structures that adorn religious buildings in Kashgar and other parts of Central Asia. 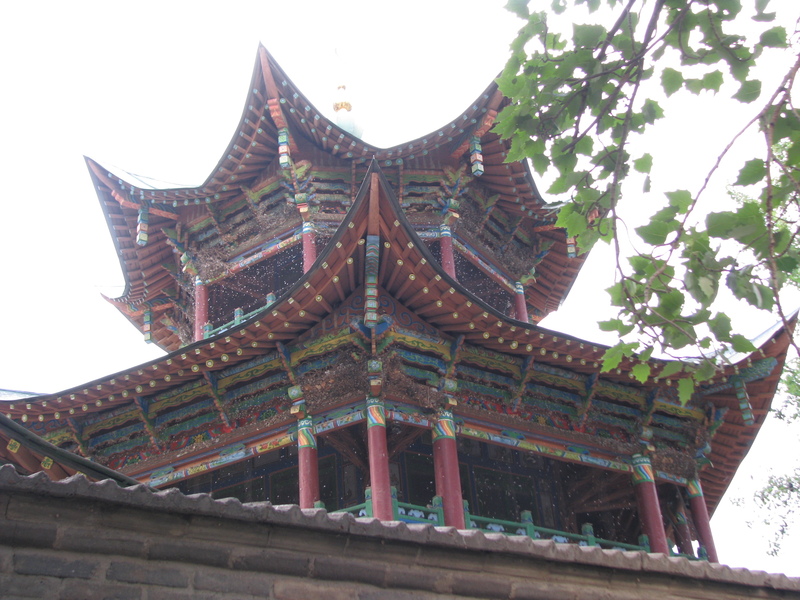 Inside the courtyard, the mosque itself is a riot of colour with the Chinese influence of architect Hon Pik allowed to run wild. The windows add a Russian-feel. 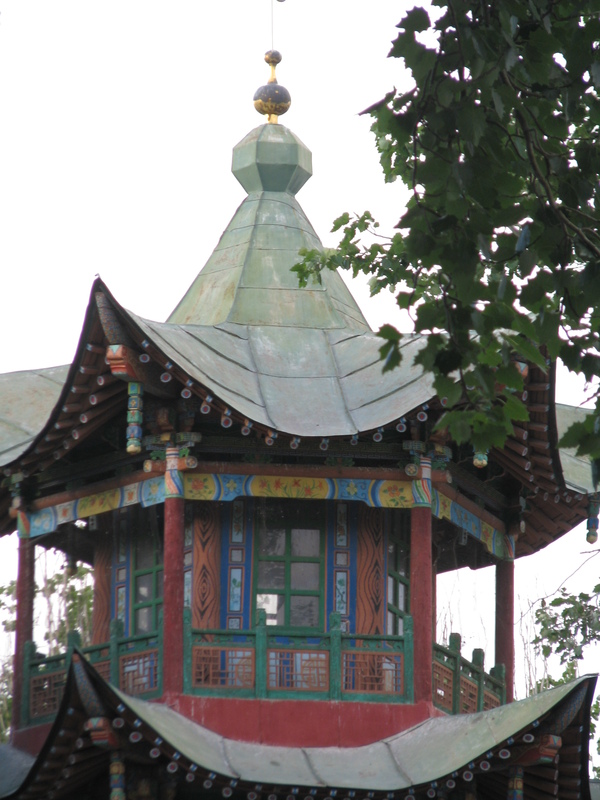 All-in-all it’s a stunning fusion of Central Asian, Chinese and Russian influences.